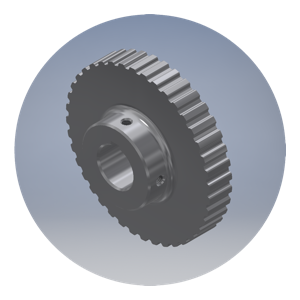 Rhino Gear's sprockets and pulleys are trusted by dozens of customers in an array of applications. Our sprockets and pulleys come in either metric or standard and in a range of sizes and configurations. Rhino Gear offers both custom and standard sprockets and pulleys from ½” to 49” in a variety of metallic and nonmetallic materials.